Never before has there been a British car maker that is more synonymous with both luxury hire cars as well as incredibly powerful, high-powered racing vehicles as Aston Martin. And now you can experience that lavish world of luxury for yourself for less, with our Aston Martin hire services here at Limo Hire. The Aston Martin is an incredibly sleek and stylish looking vehicle, and we would go as far to say it is one of the most stylish looking vehicles in our entire prestige car hire fleet! But its one thing to look the part; does the Aston Martin hire car have the interior to back it up? Put simply - yes! You're treated to the highest quality leather seating, climate control, state-of-the-art entertainment system including DVD players, LCD TVs and a powerful sound system, as well as complimentary champagne on ice - ready chilled for the moment you step inside. 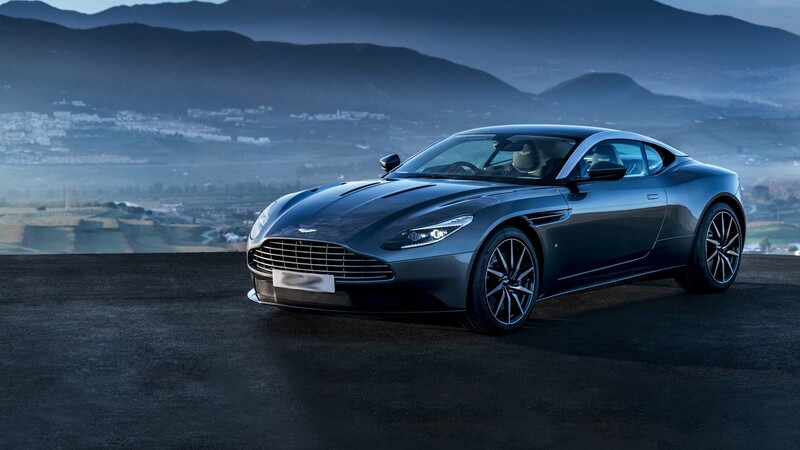 Whether you want to be the king of the ball as you rock up to your school prom in the lavish Aston Marton hire car from Limo Hire, or you want to add a truly iconic and luxurious vehicle to your fleet of cars for your wedding day then our Aston Martin hire services here at Limo Hire are for you. Call us now on 0800 002 9475 to get your totally free Aston Martin hire quote from our prestige car experts here at Limo Hire! Feel free to check out the interior videos of the Aston Martin. This video should give you an idea of how the car will feel on the inside.